His greatest challenge as a wildlife author is finding an animal that people want to read about and one he wants to be around. His criteria also include writing about species that are threatened or endangered. Sea otters don’t present that problem. The adorable, furry marine mammals are fan favorites. Despite their popularity, however, McLeish said his book is the first “full-blown book” about sea otters. Most books about sea otters are children’s books, he noted. To tell their story of survival, the Burrillville, R.I., resident traveled the Pacific Coast from California to Alaska to document the status, health, habits and personality of sea otters — a species unique to the West Coast that was hunted to near extinction during the late-1700s and mid-1800s. Sea otters, often seen floating on their backs in kelp fields dining on shellfish, reveal the improving health of the coastal ecosystem along the Pacific Ocean. Once hunted for their prized fur during the 18th and 19th centuries, these animals nearly disappeared like the dodo and passenger pigeon. Only now, about a century after hunting ceased, are populations showing stable growth in some places. 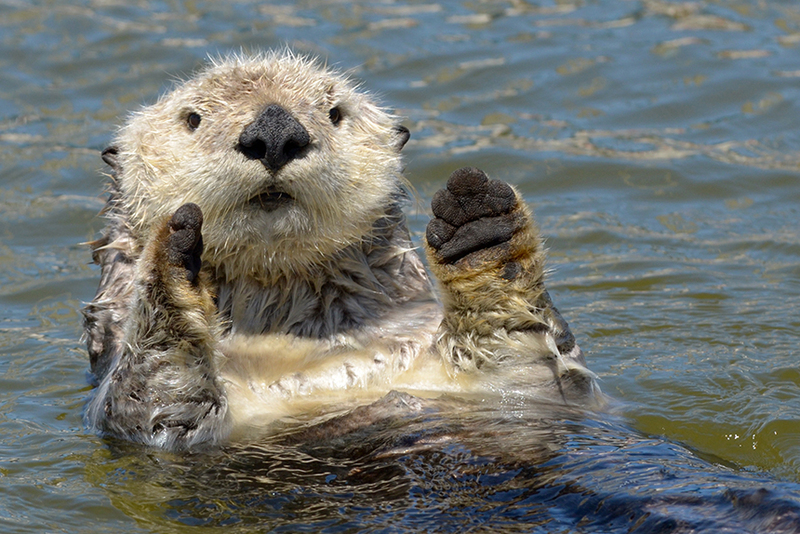 Sea otters are a keystone species in coastal areas, feeding on sea urchins, clams, crabs and other crustaceans. When they are present, kelp beds are thick and healthy, providing homes for an array of sea creatures. When otters disappear, sea urchins take over, and kelp disappears, along with the sea life that live in the beds. Now, thanks to their protected status — hunting of sea otters has been banned since 1911 — these important marine mammals are making a comeback in California, Washington and Alaska. 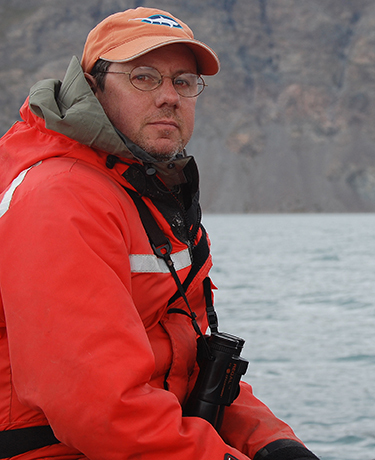 His third book, “Narwhals: Arctic Whales in a Melting World,” like his latest, took him out of the friendly confines of New England. To write about narwhals, required a trip to remote northern Greenland, an out-of-pocket expense of $8,000. His journeys up and down the West Coast to write about sea otters were a tad less expensive, but no less adventurous. McLeish observed sea otter autopsies. He saw trackers being surgically implanted in their bodies. He sailed the coast of British Columbia with researchers counting sea otters. He scuba dived in kelp forests off the coast of Monterey, Calif., watching sea otters at play. He visited with researchers, scientists and veterinarians at the Monterey Bay Aquarium marine mammal rehabilitation center. He said sea otters can grow to be 5 feet long and weigh 100 pounds. They also have a lot of fur — a million tiny hairs per square inch. While their populations have rebounded, sea otters still have a ways to go to get their numbers back. California’s population of sea otters, which ranges from Santa Barbara to Santa Cruz, is still listed as endangered. Populations off the coasts of Washington and Alaska are doing better, but sea otters are no longer found off the coasts of Mexico, Northern California, Oregon and Japan. The only people allowed to hunt sea otters now are native Alaskans, and few actually do, according to McLeish. There are 13 species of otters worldwide, but only two, sea otters and river otters, can be found in North America. River otters are the only otters you’ll see in New England. They are about half the size of sea otters, and, unlike their marine cousins, spend ample time on land. McLeish, a regular contributor to ecoRI News, became interested in wildlife during his college years at Ithaca College in upstate New York, when he took up birdwatching. “My main interest was birds, but you slowly learn about habitat and the other creatures sharing the space,” said McLeish, a North Kingstown native who worked in the University of Rhode Island’s communications department for 16 years. Today McLeish, 55, is a popular public speaker on cruise ships and at museums and environmental centers, and has published wildlife articles in Earthwatch Journal, Bird Watcher's Digest, WildBird, and Natural New England. He runs a wildlife blog called The Narwhal’s Left Tooth.